HOUSTON -- Brian McCann's focus this offseason was finding a way to hit more balls to the opposite field like he used to earlier in his career. 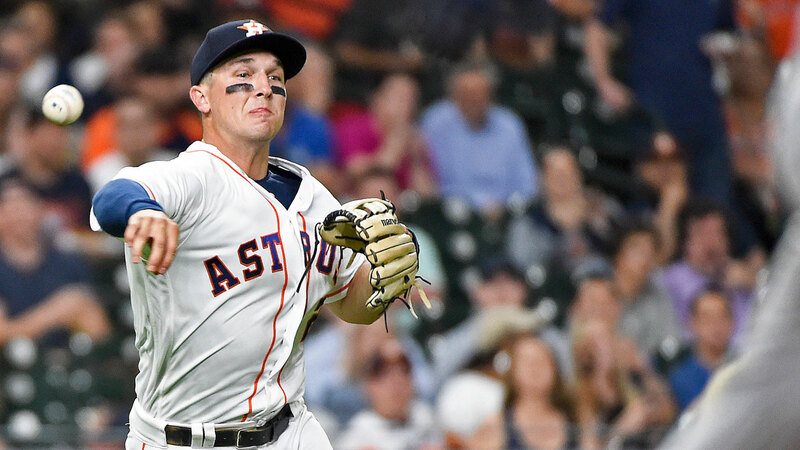 On Tuesday night against the Mariners it paid off when he got his first hit with the Astros on an opposite field home run that helped Houston to a 2-1 win. "A lot of work went into this offseason with my swing to be able to do that," he said. "Over the last two years I'd just become a dead pull hitter and I put a lot of hours in the cage for that swing right there. I was waiting for it to translate into a real game ... so it was nice for it to pay off tonight." 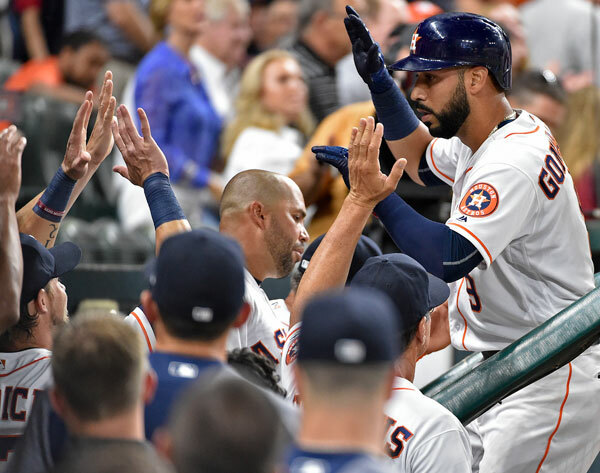 Marwin Gonzalez added a solo homer to back a solid start by Lance McCullers and give the Astros their second straight victory over Seattle to start the season. 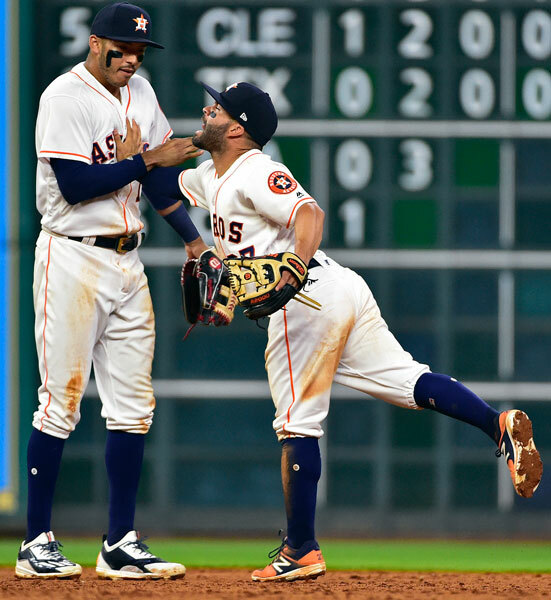 McCann's homer off Hisashi Iwakuma (0-1) put Houston up 1-0 in the third inning, and Gonzalez broke a 1-all tie with his solo shot to left-center in the sixth inning. McCullers (1-0), slowed by injuries for chunks of last season, allowed one run and five hits while fanning seven in six innings. It was his first start since August 2 after he missed the last two months of last year with an elbow injury. "I felt really good most of the start. I felt pretty locked in," he said. "I thought I was working the fastball pretty good. The curveball mix was pretty good. I mixed in a couple changeups along the way, so it was good." 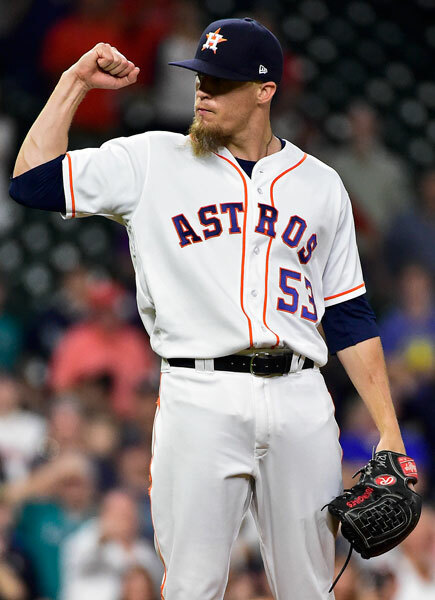 Will Harris pitched a perfect seventh, Luke Gregerson allowed one hit in the eighth and Ken Giles finished with a one-hit ninth for his second save. 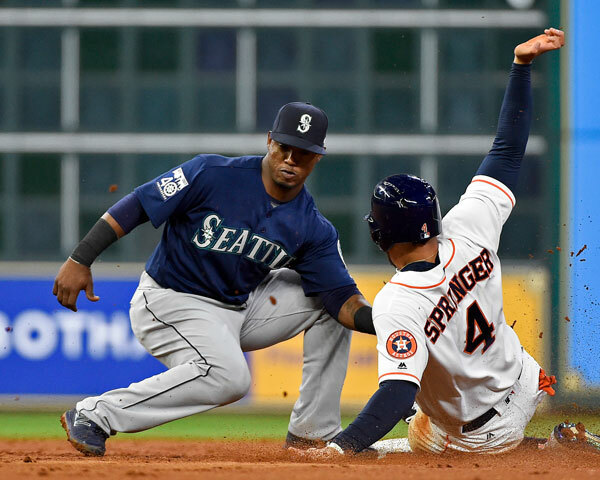 Danny Valencia had two hits and drove in a run, the Mariners' only one in two games against the Astros. 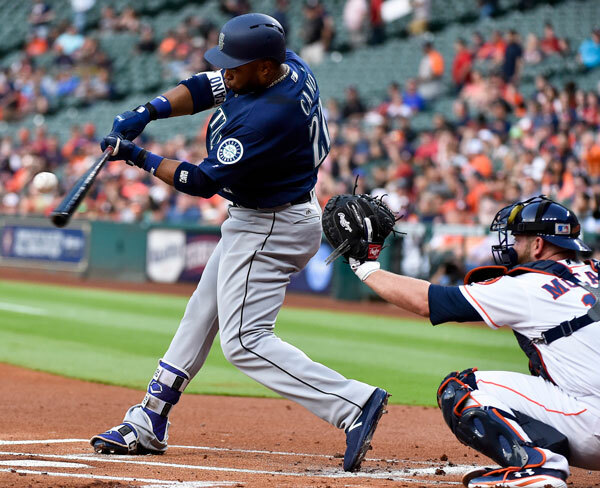 "We couldn't string any good at bats together, and their pitching has been very good," manager Scott Servais said. "We chased some balls out of the strike zone and have gotten away from controlling the zone a little bit." Gonzalez is 12 for 27 with two homers and four RBI against Iwakuma, who allowed both runs, four hits and three walks in six innings. He didn't allow a hit until McCann's homer to left field. 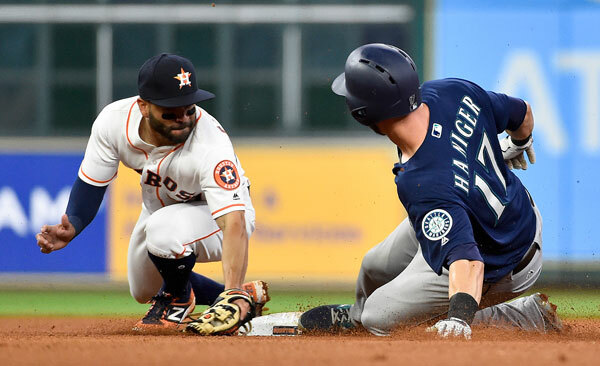 Mitch Haniger doubled to start the fourth inning before McCullers intentionally walked Kyle Seager with two outs. An RBI single by Danny Valencia tied it and Leonys Martin reached on an error by Gonzalez at first, loading the bases, but Mike Zunino grounded out. Jarrod Dyson hit an inning-ending groundout with two on in the sixth. 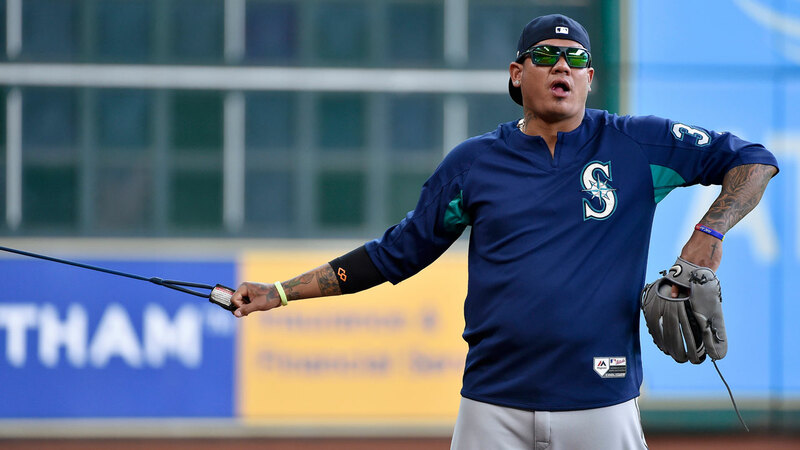 Mariners: Ace Felix Hernandez, who left Monday's start after the fifth inning with tightness in a groin, was still dealing with the problem but said he expects to take his next turn in the rotation. Astros: Houston starter Collin McHugh is to make am injury rehabilitation start for Triple-A Fresno on Thursday. McHugh opened the season on the 10-day DL after dealing with "dead arm." The Mariners moved left-hander Drew Smyly from the 10-day to the 60-day disabled list while he recovers from a flexor strain in his left arm. Smyly was 1-0 with a 5.0 ERA in three Cactus League games this spring. Seattle claimed right-hander Evan Marshall off waivers from Arizona to take Smyly's spot on the 40-man roster. Marshall, who was designated for assignment by Arizona on March 28, was assigned to Triple-A Tacoma. 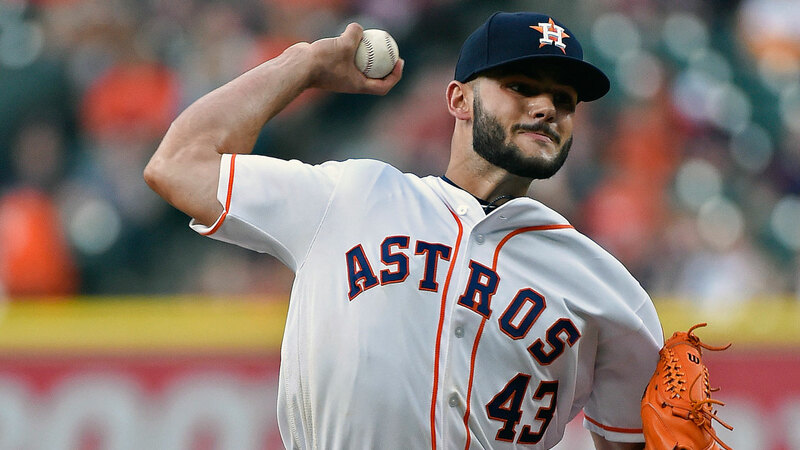 Houston's pitching staff opened the season by throwing 12 1/3 scoreless innings, which is the longest streak to start a season in franchise history. 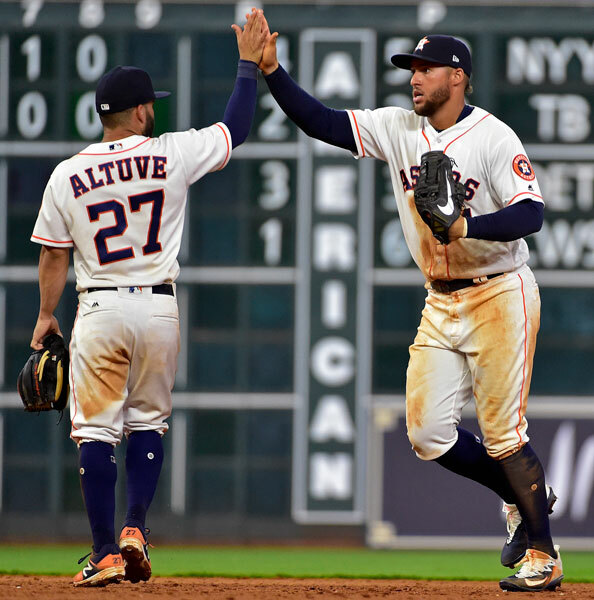 It's the second time the Astros have held their opponents to one run or less in both of their first two games and the first time since 1979 when they did it in their first three. Mariners: LHP James Paxton starts in the third game of this series on Wednesday. Paxton was 6-7 with a 3.79 ERA in 20 starts last season. Astros: RHP Charlie Morton is to make his Astros debut on Wednesday. Morton missed most of last season because of hamstring surgery. He was 1-1 with a 4.15 ERA in four starts.